Hop, fly and crawl your way to a fun program for preschoolers! Each week Little Nature Lovers features a seasonally themed story and craft. We might surprise you with an animal visitor, or an additional activity like an outdoor adventure! This free program is open to 3-5 year olds along with their caregivers. Siblings close in age are also welcome. The program is held every Thursday from 9:30 a.m. to 10:30 a.m. Registration is not required. Show up and have fun learning about nature! 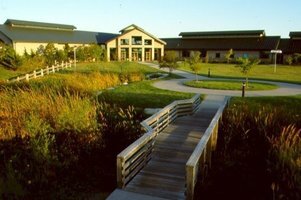 For more information, visit the Great Plains Nature Center Family Programs page. Schedules are subject to change, so it’s a good idea to double-check them before you head out.